← The Sad Decline of The Providence Journal, Model for the Fictional Newspaper in My Mulligan Novels. 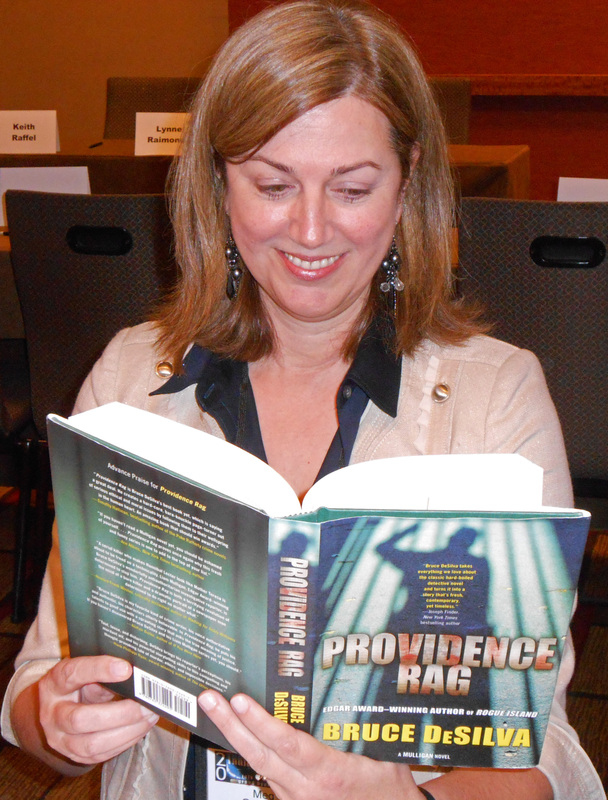 That’s thriller writer Meg Gardiner reading Providence Rag, the latest crime novel in my Edgar Award-winning Mulligan series. I snapped the photo earlier this month at the Thrillerfest conference in Manhattan. You can learn more about Meg and her new novel, Phantom Instinct, here. This entry was posted in Uncategorized and tagged Bruce DeSilva, Liam Mulligan, Meg Gardiner, Phantom Instinct, Providence Rag, Thrillerfest, thrillers. Bookmark the permalink.